An easy way to hand out your brand! A perfect low-cost promotion that keeps your giveaway 'green'! 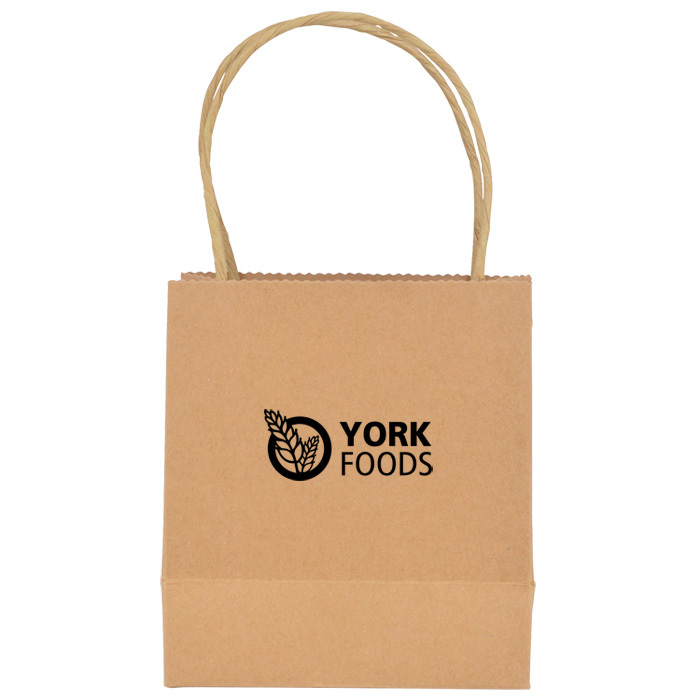 Compact, recyclable paper bags in a natural brown tone, with self-colour twisted paper handles. Ideal for delis, independent shops or eco promotions, with a great print area to show off your logo! Price includes a 1 colour print to the front of the bag. Dimensions: 140 x 155 x 80mm. Print area: 110 x 40mm.